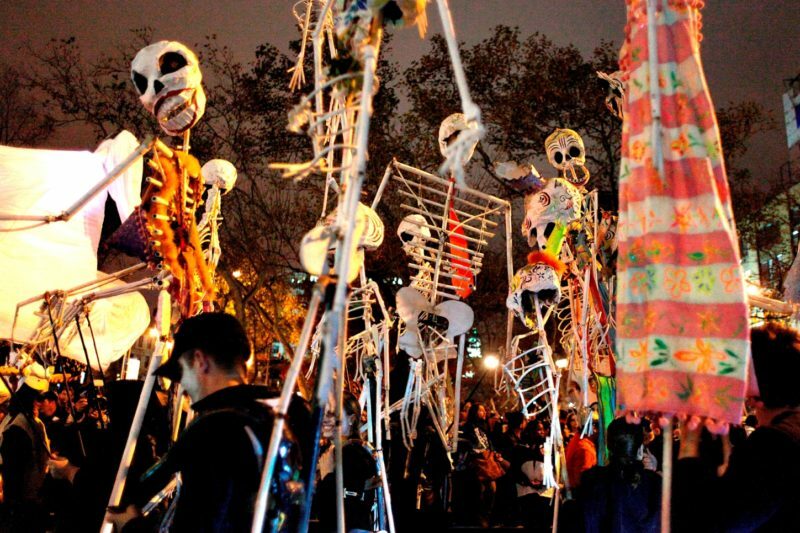 NYC & Company, the City’s official destination marketing organization, is pleased to present a selection of Halloween events in all five boroughs, below. For more information on these events and other festive fall offerings, visit nycgo.com/fall. Brew at the Zoo is back on Friday, October 19, with beer and wine vendors, local food trucks, costume contests, live music, and a retro game room. A selection of tickets is available for entry from 6 to 11 p.m., including “general admission,” “VIP,” and “designated driver.”For more information, visit bronxzoo.com/brew. Approaching 25,000performances, New York City’s greatest show on wheels, THE RIDE, will showcase a Medieval Halloween with‘THE RIDE in Masquerade.’ throughout the month of October. Performers will be decked out in lace and bejeweled masks, adding to the already one-of-a-kind experience on the streets on Manhattan. For tickets and more information, visit:ExperienceTheRide.com. Locals and travelers seeking a horror film extravaganza can look no further than Brooklyn this Halloween season. Brooklyn Horror Fest will screen 43 creative horror movies over eight days, with opening and closing showings at Nitehawk Cinema. For more information visit:brooklynhorrorfest.com. The fan favorite ‘Ghostbusters’ will be back on the big screen in the John Golden Park parking lot for a drive-in movie. Perfect for a Halloween season date night, this event is free and first-come, first-serve. For more information, visit: nycgovparks.org/events. For dedicated Ghostbuster fans, NYC & Company has created a Ghostbusters guide to NYC that can be found here: nycgo.com/itineraries/ghostbusters. New York City’s living museum and cultural attraction, the New York Botanical Garden, will showcase massive pumpkins, weighing up to 1,800 lbs., during Giant Pumpkin Weekend on October 20 and 21, fitting for a weekend of family fun. Spooky Pumpkins will also be on display in the garden on October 26-27 to give locals and travelers a fright on the weekend before Halloween. For more information, visit nybg.org/event. For a unique twist this fall, the Jacques Marchias Museum of Tibetan Art will open its doors for the 7th annual Halloween haunt, beginning at 7 p.m. Attendees must be 21 and older, and are encouraged to attend in costume for the chance to win a prize. For more information visit:tibetanmuseum.org/halloween-haunt. Festive traditions to get in the Halloween spirit can be found at the Halloween Harbor. Trick-or-treating, spooky movies, themed arts and crafts, and even mad scientist experiments are a few of the many reasons to visit one of Staten Island’s biggest fall attractions. For more information visit, snug-harbor.org/event/halloween-harbor. Take part in a costume parade, ghost stories, and a Pumpkin Flotilla at Central Park to kick-off Halloween week.ThePumpkin Flotilla will conclude the day of fun, where 50 pumpkins will be set afloat in the Harlem Meer at dusk. For more information please visit: nycgo.com/events/halloween-parade-and-pumpkin-flotilla.